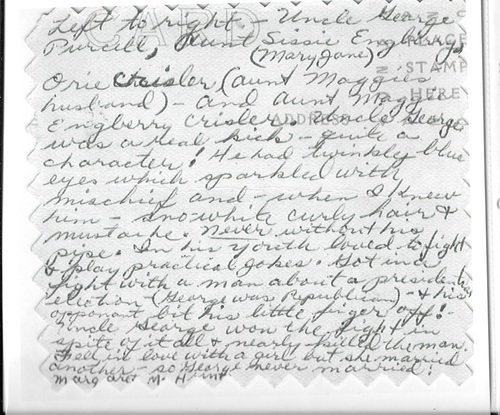 Thank you to Terry Hunt Korell for sharing family papers about her great uncle George! Uncle George was a real kick -- quite a character! He had twinkly blue eyes which sparkled with mischief and -- when I knew him -- snow white curly hair and mustache. NEVER without his pipe. In his youth, he loved to fight and play practical jokes. Got in a fight with a man about a presidential election (George was a Republican) and his opponent bit his little finger off! Uncle George won the fight in spit of it all and nearly killed the man. Fell in love with a girl but she married another -- so George never married. 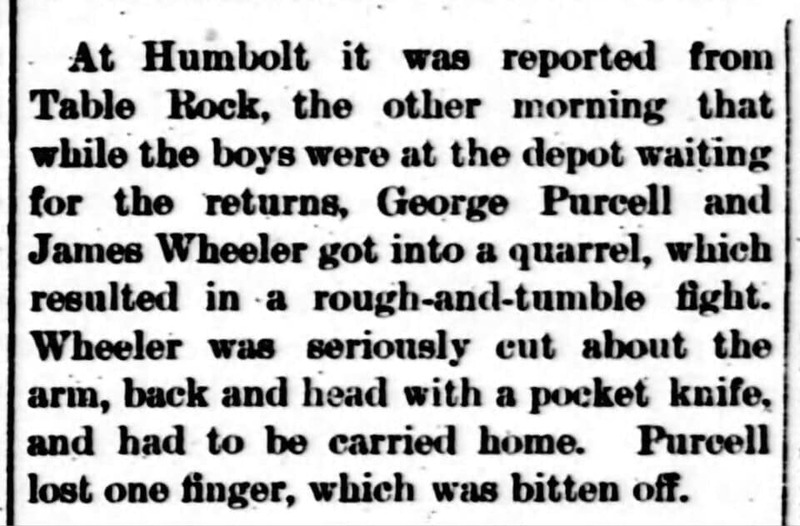 The full story, found by Terry Hunt Korrell in the November 14, 1888 Columbus (Nebraska) Journal. Benjamin Harris had beat Grover Cleveland for president. George was 28 at the time, James Wheeler was 36. George Purcell, smoking his often-present pipe. Photo 1431. 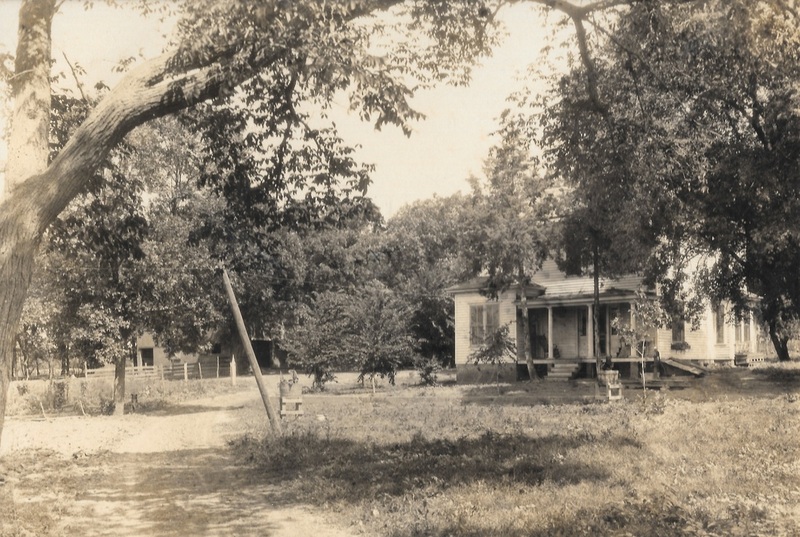 George Purcell's home. Photo 1811. 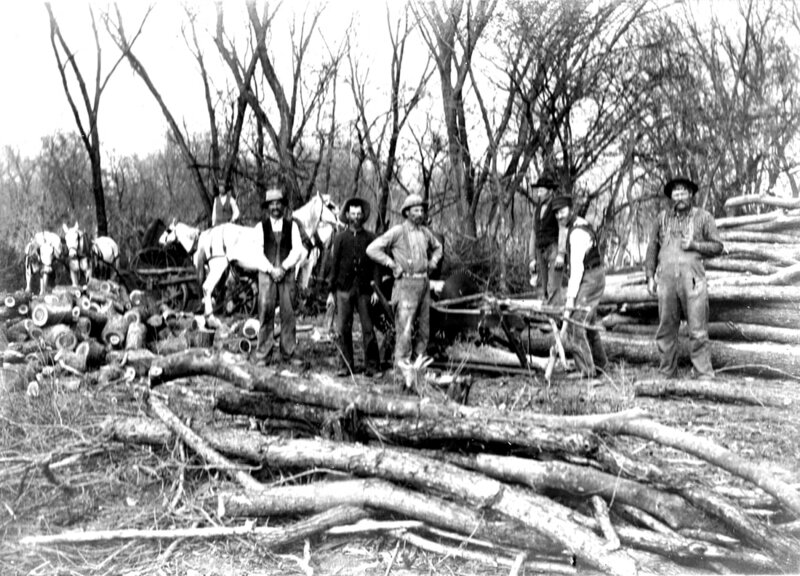 Wood cutting -- George Purcell on far right (look closely, you can see his pipe) with Abe Kimes, Frank Cochran, and John Cochran. Photo 649. Doesn't his niece margaret's few lines make george purcell look like somebody you wish you had known?